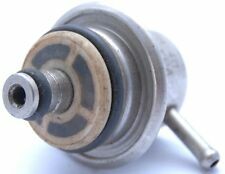 Magneti Marelli Part Number - IWFS10. Cosworth part number - YC2720. Cosworth YC engine - Fuel Injector. Magneti Marelli. Peugeot 207 2006-2012 1.4 Petrol 107Bhp. Genuine Peugeot Part. Manufacturer Peugeot. Fuel Injection Valve Qty. Product Fuel Injection Valve ( Qty. We are specialists in all makes and models of vehicles for breaking so the chances of you finding the correct part for your vehicle through us is very good. ). 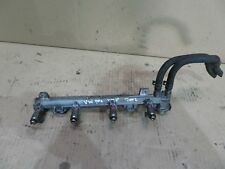 (VW POLO 2002 1.4 PETROL FUEL INJECTOR RAIL. 2) Fault or failure of an ancillary component, for example a radiator, timing belt, water pump, fuel injection system, turbo, coolant, gasket, hoses, etc. 3) As a result of fire or theft. Citroën Saxo. Fiat Brava, Bravo, Punto, Stilo. Peugeot 106. Marke Magneti Marelli. SKU: 34849. Product Information. Manufacturer Part Number 805001754001. Use engines info and vehicle YMM compatibility chart for general guide. Strictly important to provide VIN along with your detailed request since there can be different options for your car specific tech characteristics. Injector Injector Fiat Doblo Multipla Palio Stilo 1.6 16V 71737174. Doblo 1.6 16V. Stilo 1.6 16V. MULTIPLE < span class = notranslate ' > 1.6 16V. Palio 1.6 16V. Siena 1.6 16V. suitable for FIAT. OEM Numbers: 3B0919051C / 8E019051A / 8E0906087C / 8E0906087F / 8E0919051A / 8E0919051F. SKODA 8E019051A. VW 8E019051A. SKODA 3B0919051C. SKODA 8E0906087C. SKODA 8E0906087F. SKODA 8E0919051A. SKODA 8E0919051F. Injector Injector Reanult CLIO KANGOO TWINGO 1.2 IWP099. Clio Kangoo Twingo. SKU: 36347. Product Information Reference numbers. 2.0 16V Turbo. SKU: 35415. Product Information Reference numbers. All photos are our property. VOLVO 9404583. VOLVO V40 Estate (645) 1.6 03/1999-06/2004 1587 80 109 Petrol Engine Estate. VOLVO V40 Estate (645) 1.8 03/1999-06/2004 1783 90 122 Petrol Engine Estate. VOLVO S40 I (644) 1.6 03/1999-12/2003 1587 80 109 Petrol Engine Saloon. OEM Numbers: 1525GR. CITROEN 1525GR. CITROEN XSARA PICASSO (N68) 2.0 HDi 12-1999 -. MAGNETI MARELLI 519700000228. MAGNETI MARELLI GA2272. Fuel Type: Diesel. Rated Current [A]: 5 A. Will this item fit your vehicle?. VW 7H0919088. VW TRANSPORTER V Platform/Chassis (7JD, 7JE, 7JL, 7JY, 7JZ, 7FD 1.9 TDI 04/2003-11/2009 1896 63 85 Diesel Platform/Chassis. VW TRANSPORTER V Platform/Chassis (7JD, 7JE, 7JL, 7JY, 7JZ, 7FD 1.9 TDI 04/2003-11/2009 1896 77 105 Diesel Platform/Chassis. ). CITROËN 1525GZ. CITROËN/PEUGEOT 1525GZ. PEUGEOT 1525GZ. Fuel Type: Petrol. CITROËN/PEUGEOT 1525PZ. PEUGEOT 1525PZ. PEUGEOT 96570360. PEUGEOT 96849347. LAND ROVER WFX000130. Part Number: 313011313038. Our goal is to make your choice easier and save your money. MAGNETI MARELLI 313011313038. RENAULT 8200128479. RENAULT THALIA I (LB_) 1.5 dCi 02/2003- 1461 50 68 Diesel Saloon. RENAULT CLIO II (BB_, CB_) 1.5 dCi 01/2004- 1461 74 100 Diesel Hatchback. RENAULT CLIO II (BB_, CB_) 1.5 dCi 06/2001-12/2006 1461 42 57 Diesel Hatchback. Fuel Type: Petrol. FORD FOCUS II Saloon (DB_, FCH) 2.0 04-2005 -. FORD FOCUS II Convertible 2.0 10-2006 -. 09-2012 1999 107 145 AODB; AODE; AODA Hatchback. 09-2010 1999 107 145 AODA; AODB Convertible. VW 3C0919050B. VW PASSAT (3C2) 1.9 TDI 03/2005-11/2008 1896 77 105 Diesel Saloon. VW PASSAT Variant (3C5) 1.9 TDI 08/2005-11/2008 1896 77 105 Diesel Estate. VW PASSAT Variant (3C5) 2.0 BlueTDI 01/2009-11/2010 1968 105 143 Diesel Estate. Passat 1.4 TSI MultiFuel. CC 1.4 TSI MultiFuel. Suitable for VW Volkswagen. Marke Magneti Marelli. SKU: 35053. Product Information 03C 906 036K. Fiat Brava, Bravo, Marea, Palio. Lancia Delta. Marke Magneti Marelli. SKU: 34850. Product Information. Manufacturer Part Number 805001399403. Use engines info and vehicle YMM compatibility chart for general guide. Strictly important to provide VIN along with your detailed request since there can be different options for your car specific tech characteristics. VW Cross reference. EAN 7426763689086. Marke Magneti Marelli. SKU: 35059. Product Information 03H 906 036F. 03H 906 036A. Injector Injector Audi Skoda VW 3.6 FSI V6 03H906036. Q7 3.6 FSI quattro. Superb II 3.6 FSI, V6. Passat 3.6 FSI. Passat 3.2 FSI. CC 3.6 FSI. Touareg 3.6 V6 FSI. VW Cross reference. Manufacturer Model 805000136213. Marke Magneti Marelli. UPC Nicht zutreffend. EAN 8001063589756. ISBN Nicht zutreffend. 14482 Potsdam. Caution: A self installation you be responsible. Information about the installation. BMW 16146765822. BMW 5 Touring (E61) 520 d 04/2005-02/2008 1995 120 163 Diesel Estate. BMW 5 Touring (E61) 520 d 04/2005-02/2008 1995 110 150 Diesel Estate. BMW 5 Touring (E61) 525 d 03/2004-03/2007 2497 130 177 Diesel Estate. PEUGEOT 1525. PEUGEOT 206 Hatchback (2A/C) 1.1 i 09/1998- 1124 44 60 Petrol Engine Hatchback. PEUGEOT 206 SW (2E/K) 1.1 07/2002- 1124 44 60 Petrol Engine Estate. PEUGEOT 206 Hatchback (2A/C) 1.4 16V 10/2003- 1360 65 88 Petrol Engine Hatchback. OEM Numbers: 1686227 / 1695909 / 1754799 / 1851737 / AV619H307AB / AV619H307AC / AV61-9H307-AC / AV619H307AD / AV61-9H307-AD / AV619H307AE. FORD 1754799. FORD FOCUS III Turnier 1.6 Flexifuel 07-2010 -. 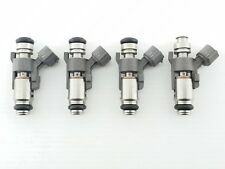 Injector injector injector Fiat Punto HGT Stilo 1.8 IWP006 IWP 006. Part #: IWP 006- This item fits ONLY if the specified item number matches - always compare before buying. Fiat Stilo dynamic SW 1.8 16V. CHEVROLET 96447442. CHEVROLET LACETTI (J200) 1.4 16V 03/2005- 1399 70 95 Petrol Engine Hatchback. CHEVROLET LACETTI Estate (J200) 1.6 03/2005- 1598 80 109 Petrol Engine Estate. CHEVROLET LACETTI (J200) 1.6 03/2005- 1598 80 109 Petrol Engine Hatchback. FORD 3M519H307. FORD FOCUS II Turnier (DA_) 1.4 07/2004-09/2012 1388 59 80 Petrol Engine Estate. FORD FOCUS II Turnier (DA_) 1.6 07/2004-07/2011 1596 74 100 Petrol Engine Estate. FORD FOCUS II Turnier (DA_) 2.0 07/2004-09/2012 1999 107 145 Petrol Engine Estate. Manufacturer Part Number 230016209087. Use engines info and vehicle YMM compatibility chart for general guide. Strictly important to provide VIN along with your detailed request since there can be different options for your car specific tech characteristics. LANCIA 51807373. LANCIA DELTA III (844_) 1.6 D Multijet 09-2008 -. LANCIA DELTA III (844_) 1.9 D Multijet 01-2009 -. FIAT BRAVO II (198_) 1.4 16V 03-2008 -. LANCIA DELTA III (844_) 2.0 D Multijet 09-2008 -. OEM Numbers: 1525GE / 1611846480 / 770200H010 / 770200H030AC / 770200H040 / 772400H010 / 772400H030. CITROEN 1525GE. CITROEN/PEUGEOT 1525GE. PEUGEOT 1525GE. TOYOTA AYGO (_B1_) 1.0 (KGB10_) 07-2005 -. CITROEN 1611846480. OPEL VECTRA C Estate (Z02) 2.2 direct (F35) 10-2003 -. Fuel Type: Petrol. OPEL 013152292. OPEL 13152292. Will this item fit your vehicle?. 2198 114 155 Z 22 YH Wagon. Give us your trust and we'll help you to repair or update your car! FIAT 46798695. FIAT PANDA (169_) 1.1 09/2003- 1108 40 54 Petrol Engine Hatchback. FIAT PANDA Van (169_) 1.1 09/2004- 1108 40 54 Petrol Engine Box. FIAT 500 C (312_) 0.9 09/2009- 875 63 86 Petrol Engine Convertible. PEUGEOT 406 (8B) 1.8 16V 10/2000-05/2004 1749 85 116 Petrol Engine Saloon. PEUGEOT 406 (8B) 2.0 16V 01/1999-08/2000 1997 99 135 Petrol Engine Saloon. PEUGEOT 1525. PEUGEOT 406 (8B) 2.2 07/2000-05/2004 2230 116 158 Petrol Engine Saloon. OEM Numbers: 4B0919051F. VW 4B0919051F. MAGNETI MARELLI 313011313087. MAGNETI MARELLI MAM00087M. AUDI A6 (4B2, C5) 1.8 07-1997 -. AUDI A6 (4B2, C5) 1.8 T 01-1997 -. AUDI A6 (4B2, C5) 2.4 07-1998 -. AUDI A6 (4B2, C5) 2.4 02-1997 -. A1 1.4 TFSI. Ibiza 1.4 TSI. Fabia II 1.4 TSI. EOS < span class = notranslate ' > 1.4 TSI. Golf V 1.4 TSI. Golf VI 1.4 TSI. Golf Plus 1.4 TSI. Jetta IV 1.4 TSI. MAGNETI MARELLI 519700000200. MAGNETI MARELLI GA2244. CITROEN C4 Picasso II 1.2 THP 130 04-2014 -. CITROEN C4 Picasso II 1.6 THP 155 02-2013 -. CITROEN C4 Picasso II 1.6 THP 165 07-2014 -. Will this item fit your vehicle?. OEM Numbers: 1T0919051 / 1T0919051F / 1T0919051G / 1T0919051N / 1T0919051P. VW 1T0919051. MAGNETI MARELLI 519700000224. MAGNETI MARELLI GA2268. VW TOURAN (1T1, 1T2) 1.4 FSI 11-2006 -. VW TOURAN (1T1, 1T2) 1.4 TSI 02-2006 -. Manufacturer Part Number 805001446001. Use engines info and vehicle YMM compatibility chart for general guide. Strictly important to provide VIN along with your detailed request since there can be different options for your car specific tech characteristics. OEM Numbers: 1K0906089 / 1K0906089B / 1K0906089C. AUDI 1K0906089. VW 1K0906089. MAGNETI MARELLI 219900000003. MAGNETI MARELLI ESS0003A. VW 1K0906089B. VW 1K0906089C. AUDI Q7 (4LB) 3.0 TDI quattro 05-2011 -. Fuel Type: Petrol. OPEL 815186. 1398 74 100 B 14 XER; A 14 XER MPV. 1398 74 101 B 14 XER; A 14 XER MPV. Will this item fit your vehicle?. Our goal is to make your choice easier and save your money. Give us your trust and we'll help you to repair or update your car! OEM Numbers: 01232368 / 015776392 / 1232368 / 15776392. OPEL 1232368. Fuel Type: Petrol. OPEL INSIGNIA A Saloon (G09) 1.4 (69) 04-2011 -. OPEL INSIGNIA A Saloon (G09) 1.4 LPG (69) 07-2012 -. OPEL INSIGNIA A Saloon (G09) 1.6 (69) 07-2008 -. OEM Numbers: 3C0919050A / 3C0919050N. VW 3C0919050A. MAGNETI MARELLI 519700000004. MAGNETI MARELLI GA2048. VW PASSAT (3C2) 2.0 TDI 4motion 03-2005 -. VW 3C0919050N. Fuel Type: Diesel. Will this item fit your vehicle?.